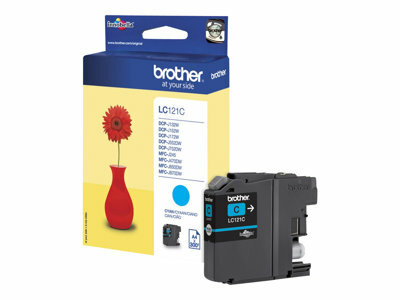 Brother Ink LC 1000 Black (LC1000BK) VE 1 DCP-130, 330, 350, 357, 540, 560, 750, 770, MFC-240, 440, 465, 660, 680, 845, 885, 3360, 5460, 5860, FAX-1355, 1360, 1460, 1560, DCP 130C, MFC 240C , not cancelable! Brother Ink LC 1100 HC Black (LC1100HYBK) 0,9k VE 1 DCP-6690CW, MFC-5890CN, -5895CW, -6490CW, -6890CDW , not cancelable! Brother Ink LC 1100 HC Cyan- (LC1100HYC) 0,75k VE 1 DCP-6690CW, MFC-5890CN, -5895CW, -6490CW, -6890CDW , not cancelable! Brother Ink LC 1100 HC Magenta (LC1100HYM) 0,75 VE 1 DCP-6690CW, MFC-5890CN, -5895CW, -6490CW, -6890CDW , not cancelable!